"We are very happy with the work that MAYCO PAINTING did for us. They were very through and detail oriented and made sure that all the holes were filled and rough spots sanded down and then primed. They were very careful with the landscaping and making sure to not damage any plants or trees. All trim lines were straight and clean. The house looks great and we're glad to have hired Ignacio for the job. He was professional and prompt throughout the job. We definitely recommend these guys for any paint project you may have." "We've used MAYCO PAINTING about 12 times now and each time the results have been fantastic. 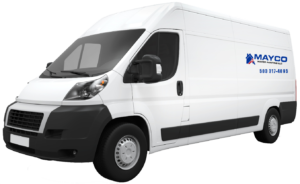 The crew arrive on time, complete the job with very professional and detailed results and at very good price. We absolutely will use him again and again." Business Development at GruntWorks, Inc.
"Very meticulous, a perfectionist, great guys to work with and very knowledgeable. 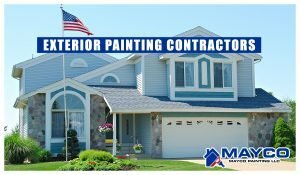 I recommend MAYCO PAINTING." "Very nice job - made the house look new again, top-notch and very in-service, no problems or issues." "Great detail, great job, very pleased, great staff! and very pleasant to be around." Mayco Painting did a fabulous job on my kitchen cabinets, taking them from a difficult avocado green to a beautiful off white, which makes my kitchen look twice the size and full of light. The team is very professional, considerate and timely. Thank you Mayco Painting!